FOR LEASE- WOW!! 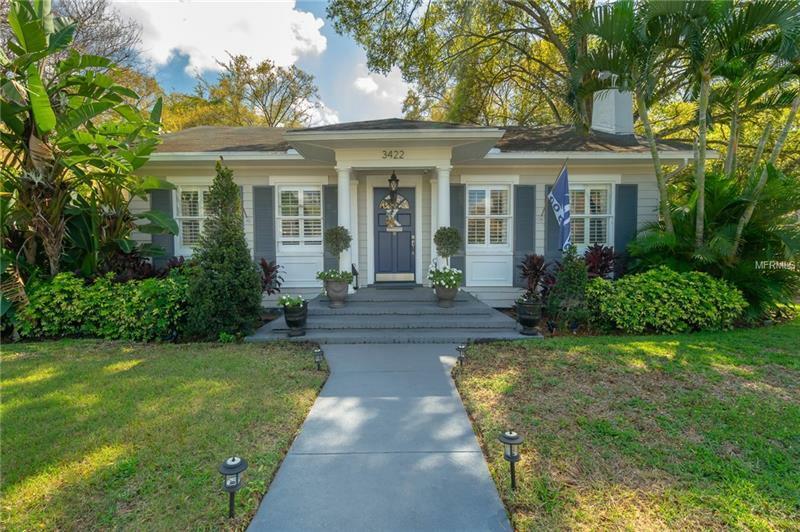 This stunning restored and upgraded 3 bed 2 bath bungalow is in the prime location of South Tampa, Palma Ceia, Plant High School district. Amazing detail include full wood floors, open kitchen with granite countertops and a full island, formal living room , wood burning fireplace, spacious bedrooms with bright windows, window box seating , plantation shutters, on-demand water heater, stunning patio with a cabana area, off street parking and private grilling and entertainment areas! This each room has its own wonderful character. This charmer is walking distance to Historic Bayshore, Palma Ceia Golf and Country Club, kitschy art galleries, fabulous restaurants and shopping, as well as A++ schools. Easy commute to down town Tampa, Mac Dill AFB, and the Selmon Town Express speeds you to Tampa General Hospital and Gandy Blvd.to St Petersburg and beaches. Available soon. Pets welcome with pet application. Appointments only please.